The Career Center is located in LH 208 and is open Monday – Friday, 8:00am – 5:00pm. Note: Zoom is a Video & Web Conferencing Tool. * Drive-Thru and Individual Appointment Services are only for current CSUF students and recent graduates (within the past 12 months). Did you know you can have a Career Specialist create a workshop for your student organization meetings and even help you find guest speakers? For more info click here to request a workshop. Now you can Schedule an in-person career counseling appointment online through Titan Connection! 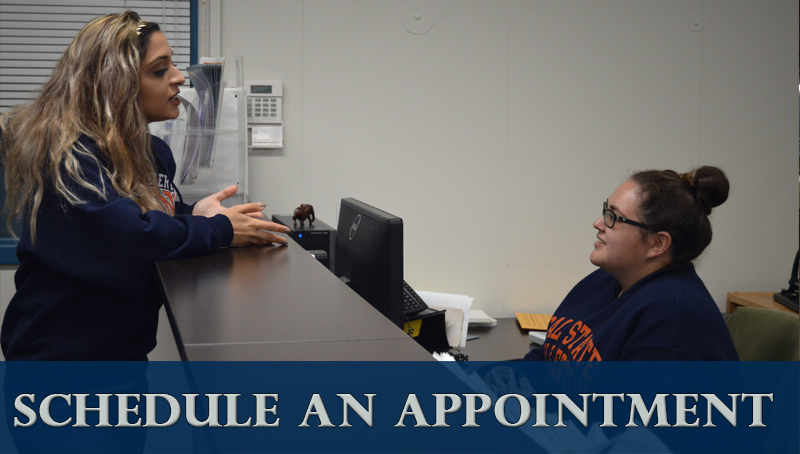 Note: When logging into Titan Connection , please select Calendar - Counseling Appointment from the left hand column and select, "Request New Appointment".